Two men convicted of killing an 81-year-old grandfather in a racially motivated attack have been jailed. 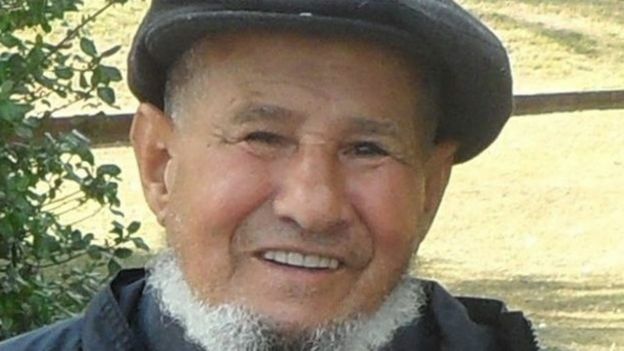 Mushin Ahmed died 11 days after he was attacked by Dale Jones and Damien Hunt, both 30, as he walked to prayers at a mosque in Rotherham in August. Jones, of Norwood Street, Rotherham, was jailed for life with a minimum term of 32 years. He was convicted of murder. Hunt, of Doncaster Road, Rotherham, was jailed for 14 years for manslaughter. During the trial at Sheffield Crown Court, jurors heard Jones attacked Mr Ahmed after accusing him of being a “groomer”. Prosecutor Andrew Robertson QC said there was “no doubt” Jones abused Mr Ahmed “for no better reason than Mr Ahmed was Asian”. During the attack Mr Ahmed was kicked so hard the imprint of a trainer was left on his face. His false teeth were also broken during the attack, with Hunt’s DNA later being recovered from the shattered dentures. The court heard Jones was in a “raging fury” fuelled by drink and drugs and, shortly before attacking Mr Ahmed, had racially abused an Asian taxi driver. Det Ch Insp Victoria Short said the “brutal and unprovoked attack” had sent “shockwaves” through the local community. She said: “This extreme violence is nothing short of sickening and highlights just how dangerous these individuals are. 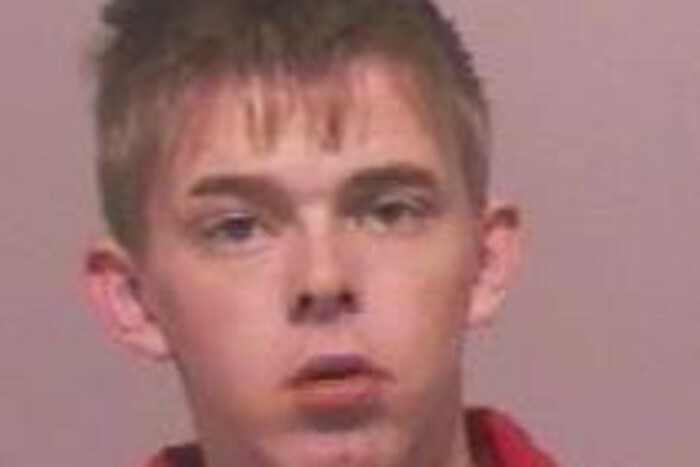 Proceedings against a third man, 21-year-old Kieran Rice, were discontinued in October. He was released without further action. A man has been jailed for three and a half years after admitting killing another man with a single punch. Ruben White, 22, of Kingswood Road, Gillingham, was sentenced for the manslaughter of Saulius Klevinskas at Maidstone Crown Court today, Friday. White was arrested following the death of 35-year-old Mr Klevinskas in Balmoral Road, Gillingham on August 21 last year. The incident happened outside a shop where White and three other man were sitting in a car. Mr Klevinskas, who was originally from Lithuania, but was living in Grays, Essex. was coming out of the shop with two friends when it was alleged that someone in the car threw a can at them. An argument began and Mr Klevinskas then went over to the car and smashed a window. White got out of the vehicle and an altercation between the two groups broke out. Mr Klevinskas received a single punch causing him to fall to the floor. He died from his injuries five days later at Medway Maritime Hospital with his family by his bedside. After sentencing, DI Geoff Payne said: `This was a violent assault which had fatal and devastating consequences. Ruben White may not have intended to kill a man that day, but his aggressive actions and thoughtlessness resulted in the most devastating circumstances imaginable. “I would like to thank the witnesses and residents for their help in coming forward to help with the police investigation into this incident. I would also like to thank the off duty Accident and Emergency Nurse who was at the scene and helped attended to the victim before the ambulance could arrive. A teenager locked up for his part in the ‘savage’ and ‘cruel’ slaying of a Sunderland dad has had his sentence increased by a third by senior judges. 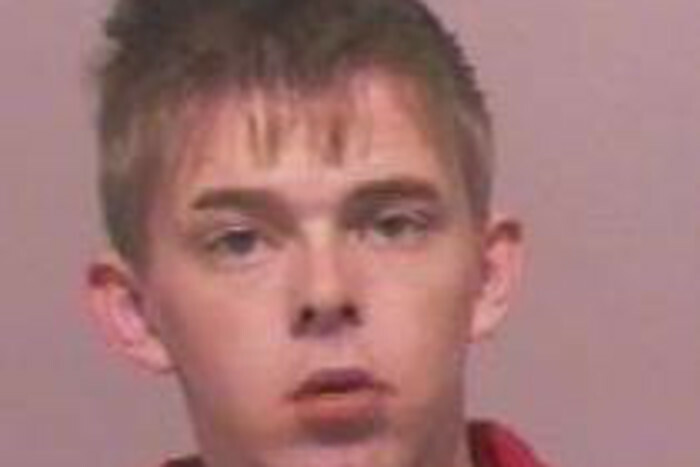 Dalton Barnett, 19, of Fuller Road, was convicted of manslaughter and violent disorder and got six years in a young offender institution in July. His father, Charles Lamont, 41, of Villette Road, was found guilty of murdering of 45-year-old David Walsh and violent disorder. Lamont was jailed for life at Newcastle Crown Court and ordered to serve 13 years behind bars before he could even apply for parole. The Attorney General Jeremy Wright QC today referred both killer’s sentences to the Court of Appeal, in London, arguing they were far too soft. But the judges increased Barnett’s sentence to nine years. 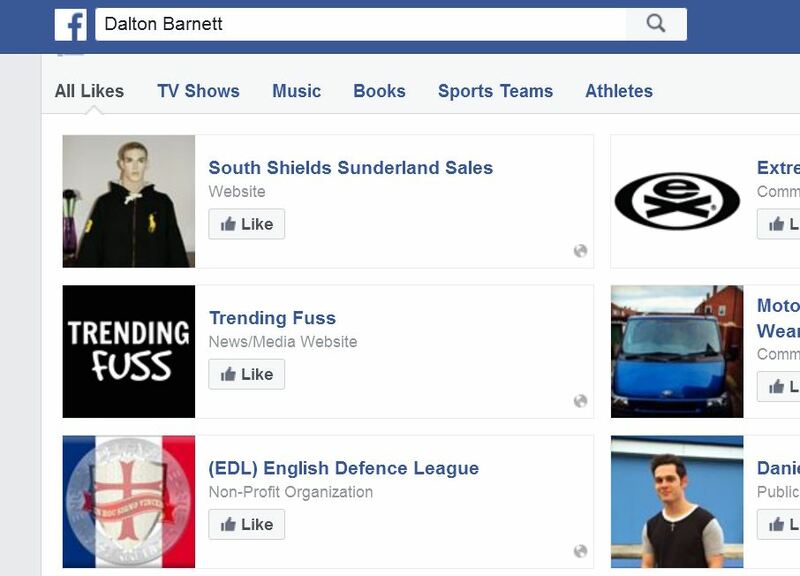 On November 20 last year, in Canon Cockin Street, Hendon, Mr Walsh’s son David Richardson was involved in a confrontation with Barnett. He was left with facial injuries and called his brother, Kyle Walsh, to tell him what happened. Kyle got in his van and picked up his dad, David Walsh, on his way to the scene. Both men were unarmed, Lord Justice Lloyd Jones told the court. David Walsh demanded to know who had attacked his son. Lamont came out of an address in Fuller Road and fought with the father and was punched and knocked to the ground. He went back inside and got a metal bar and Barnett emerged carrying a baseball bat. They were both attacking David Walsh when, ‘without warning’, Raymond Brown, then 37, came on the scene with a kitchen knife. 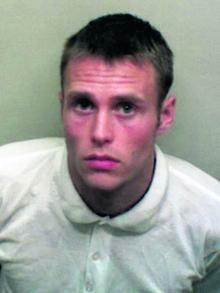 He ‘swiftly and savagely’ stabbed the victim multiple times, leaving him with 34 separate injuries. Mr Walsh died as a result of massive blood loss. His family were ’emotionally devastated’ by his death. Brown, of Canon Cockin Street, admitted murder and violent disorder and got life with a minimum of 26 years. Robert Smith QC, for the Attorney General, argued the punishments imposed on Lamont and Barnett were nowhere near tough enough. But Toby Hedworth QC, for Barnett, insisted that his sentence was ‘fair and appropriate’ given his youth and immaturity. 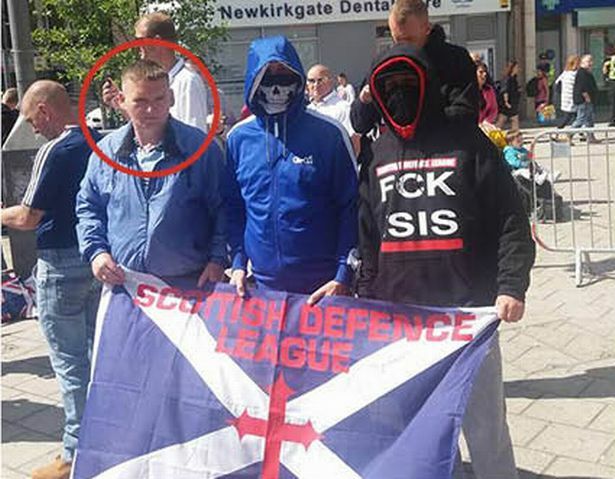 Alistair McDonald QC, for Lamont, said his 13-year minimum term was ‘appropriate’ and ‘just’. Lamont suffers from a chronic bowel condition which will make his years in prison tougher, he added. Lord Justice Lloyd Jones said Mr Walsh suffered ‘a dreadful, cruel death when repeatedly stabbed by Brown’. The appeal judge, who was sitting with Mr Justice Dingemans and Judge Mark Brown, said Lamont’s minimum term would not be upped. But he agreed with the Attorney-General that the sentence imposed on Barnett was too short. After the trial at Newcastle Crown Court, Mr Walsh’s brother Billy, 55, who sat through all of the five-week hearing said the sentences were “too lenient”. Mr Walsh added that the length of sentences given to Lamont and Barnett did not go far enough. He added: “I don’t think Brown or Lamont have got anywhere near what they should have done. 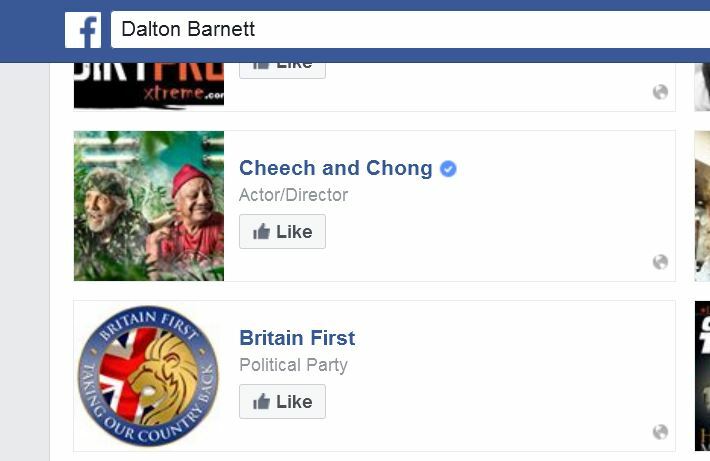 “I think Lamont should have got 20 years and Dalton Barnett should have got 15 years. 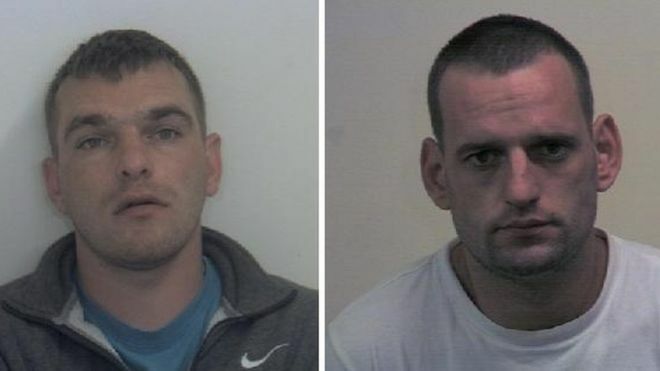 These are the men facing time behind bars for the killing of Sunderland dad David Walsh. The 45-year-old, of Fuller Road, Hendon was killed outside an address on Cannon Cockin Street in November last year. Raymond Brown, 36, of Cannon Cockin Street, had pleaded guilty to murder and violent disorder at an earlier date. Today at Newcastle Crown Court, Charles Maguire Lamont, 40, of Villette Road, was found guilty of murder and violent disorder. Lamont’s son Dalton James Barnett, 19, of Fuller Road, was found guilty of manslaughter and violent disorder. The jury verdicts came after a trial which lasted more than four weeks. Detective Sergeant Dave Hirst, of Northumbria Police, said: “We welcome the decision by the jury today. “This has been a difficult case for all the family and our thoughts remain with them. I hope the family can seek some solace in today’s verdict and begin to rebuild their lives. “I would like to thank the people of Hendon for their community spirit and helping police with this investigation. Members of Mr Walsh’s family were in court to hear the verdicts read out. The devoted dad was just weeks away from renewing his wedding vows with his childhood sweetheart when he was killed in a brutal attack in a back lane. Known as Boff to friends and family, he had planned to hold the ceremony in the Caribbean with wife Trisha in January. Shortly before his death, the 6ft 3in railway worker – who was only home for the weekend after a change in shifts in the run up to Christmas – went to the aid of his youngest son David, 25, with eldest boy Kyle, 28, when they heard he was in trouble. His family described Mr Walsh as a “gentle giant” devoted to his family. His brother Billy, 54, said: “They have taken one of the best people off earth you could ever meet. “He was a diamond. He was one of the nicest people you could ever meet, he would have given you his last penny. “He was a gentleman, a fun-loving giant. He was just a true gentleman. He was one of the lads – one of the likely lads. “He loved doing out for a drink, he loved holding barbecues and going on holiday, he would go three, four, five times a year. Billy’s wife Kath, 57, added: “He always said he would give his life for his bairns, and he did. “It’s bad enough for him to be murdered, but what they did, it’s indescribable. “He went to stop what was going on. He was a protective father, he wanted to try and help him. “He and Trisha were together like superglue. “She was like his shadow and they were a funny couple. “He was fun-loving, he didn’t have a bad bone in his body. Mr Walsh, who went to Valley Road Primary and Southmoor School, where he met Trisha, also 45, was also dad to Aaron and daughter Casey and a grandad to Kyle’s children Kyle, 10, Cavan, eight, and Canis, six, as well as David’s daughter Ellie, seven. He also leaves sister Maureen and brother Anthony and was also a loving uncle to Anthony’s children Lyndsay, 23, and Anthony, 28. Mr Walsh was known for hosting barbecues, which would see neighbours join in the gatherings held in his back yard, as well as enjoying cooking for others. He gained his nickname after shaving his hair off and was known for playing pranks on his friends and family. He and Trisha enjoyed travelling, with Barbados, Mexico, Goa and Jamaica among the places they had holidayed in recent years.